Clewiston, historically known as America's Sweetest Town, was incorporated in 1925 and occupies 4.57 square miles. Clewiston is centrally located in south Florida about 60 miles east of Fort Myers on the Gulf of Mexico and 60 miles west of Palm Beach on the Atlantic Ocean. Through more than a half-century of growth, Clewiston has kept its charm and beauty. 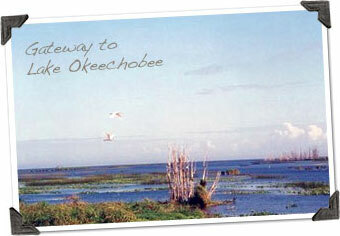 We are the Gateway to Lake Okeechobee. Many visitors are attracted to Clewiston because of the excellent freshwater fishing in Lake Okeechobee, offering the best in black bass and pan fishing, including crappie and bream. Clewiston's temperate climate and tranquil palm-filled vistas make it a town for all seasons. The Document Center is currently under renovation to ensure accessibility by any disabled individual. Please email cityclerk@clewiston-fl.gov or call 863-983-1484 for any accessibility issues. If you are using assistive technology to access content on this website and the format of any material interferes with your ability to access it, please let us know so that it can be corrected. Please indicate the nature of the problem, the preferred format of the material, the webpage address, your contact information, and any other information that would allow us to better assist you.